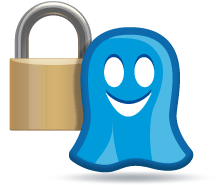 The popular browser add-on called Ghostery blocks tracking code on websites, improving page load speeds and narrowing a user’s footprint on the web. It’s often touted as an essential part of the online privacy toolkit, and made the list in our recent guest blog about internet privacy. What most users don’t realize, reports the MIT Technology Review, is that Ghostery’s parent company, Evidon, sells the data it collects to advertisers. It should be made clear that opting-out of sharing information within Ghostery excludes you from this data collection, and Evidon reportedly abides by this request. Evidon’s co-founder and CEO, Scott Meyer, says there is no conflict in the two roles his company plays in offering users a tool to hide from the ad industry while also providing data about those users to advertising companies. “Anything that gives people more transparency and control is good for the industry,” says Meyer. Evidon sells two services to its clients. The first profiles the tracking code from a website, and allows site operators to view where it is coming from and how it affects the speed of their pages. The second provides advertisers with statistics on how common trackers from other companies are on the web. The first, says Meyer, is very important because site owners often don’t realize what tracking code from other sites is being used on their visitors. “It’s usual for the operator of a website to say, ‘These 10 companies on my site I know about and these 10 I didn’t,’ ” says Meyer. Not everyone is convinced that the duality of Evidon’s role, straddling the line between consumer privacy and the advertising industry, is as harmless as Meyer suggests. Evidon sells a significant amount of data to ad companies wanting to ensure their compliance with the AdChoices program. AdChoices is supposed to help people opt-out of targeted ads, and Evidon has a vested interest in the program’s success in competition with alternatives like “Do Not Track” features that are becoming standard in some browsers.